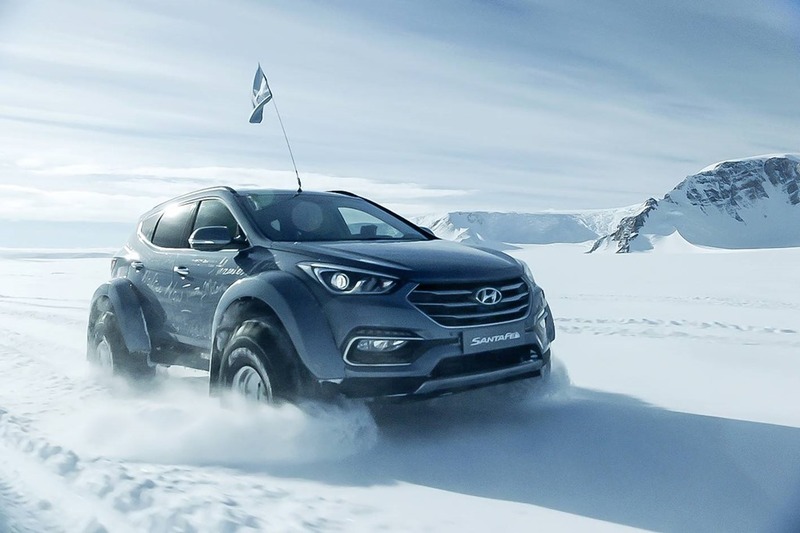 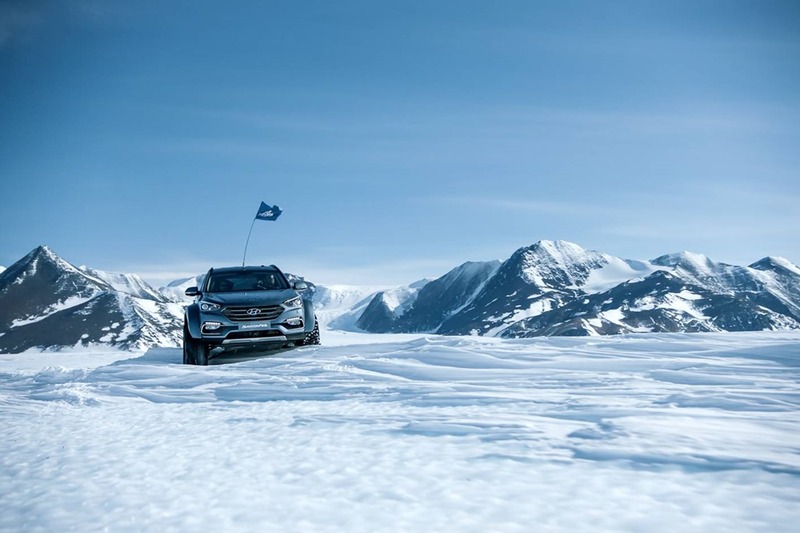 20 April 2017 – Hyundai Motor has made history when a near-standard 2.2-litre diesel Santa Fe became the first passenger vehicle to be driven across the continent of Antarctica from Union Camp to McMurdo and back again. 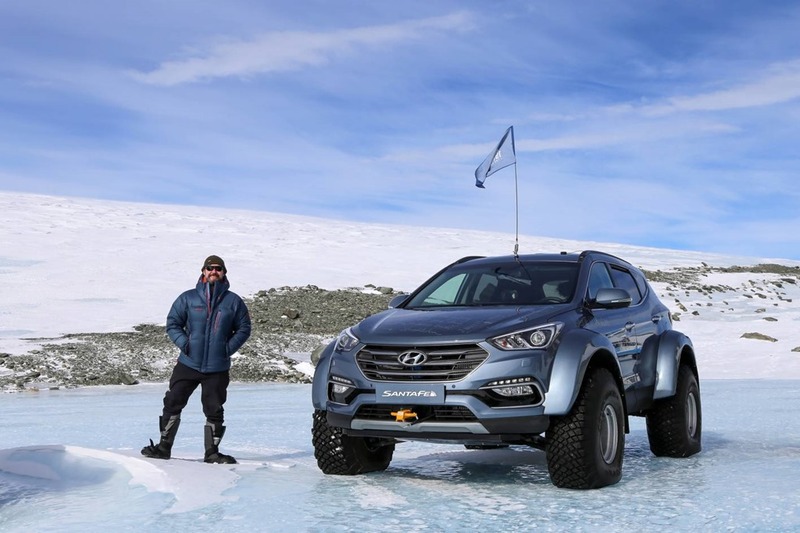 The Santa Fe was driven by Patrick Bergel, the Great Grandson of legendary polar explorer, Sir Ernest Shackleton. 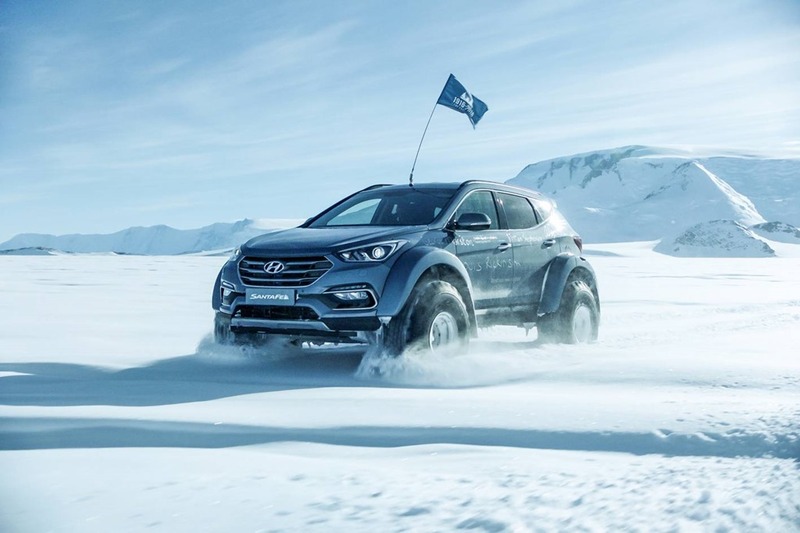 The journey which took place in December 2016 was timed to commemorate the centenary of Shackleton’s heroic Trans-Antarctic expedition of 1914-16 and has been made into a short film by Hyundai which will be shown for the first time tonight at an event at the Hospital Club, London. 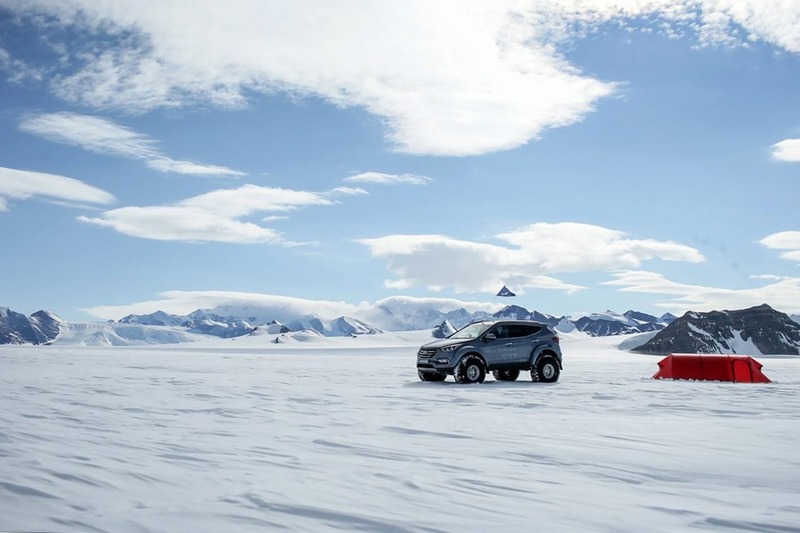 The 30-day expedition saw the Santa Fe production vehicle, which was modified only slightly to fit giant low-pressure tyres, take on almost 5,800km of icy terrain in bitter conditions. 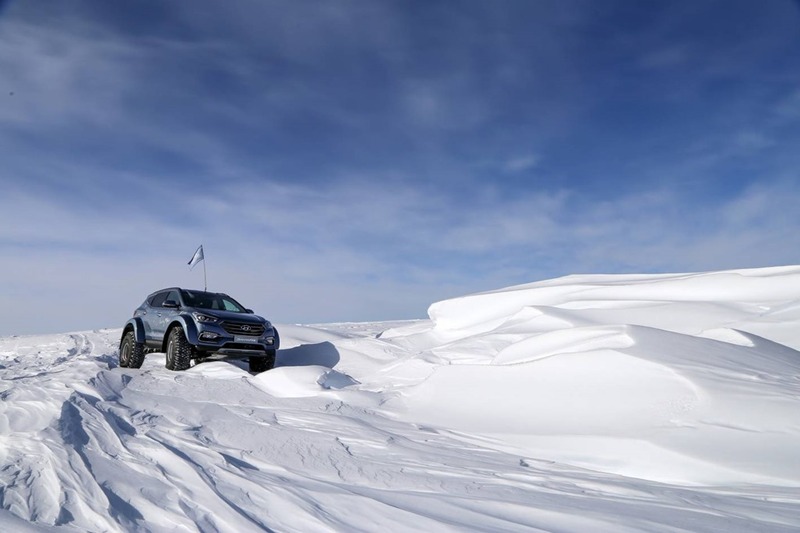 It not only had to cover extreme distances at temperatures down to minus 28-degrees Celsius but it had to plot new paths on floating ice caps that have never been travelled by wheeled vehicle before. 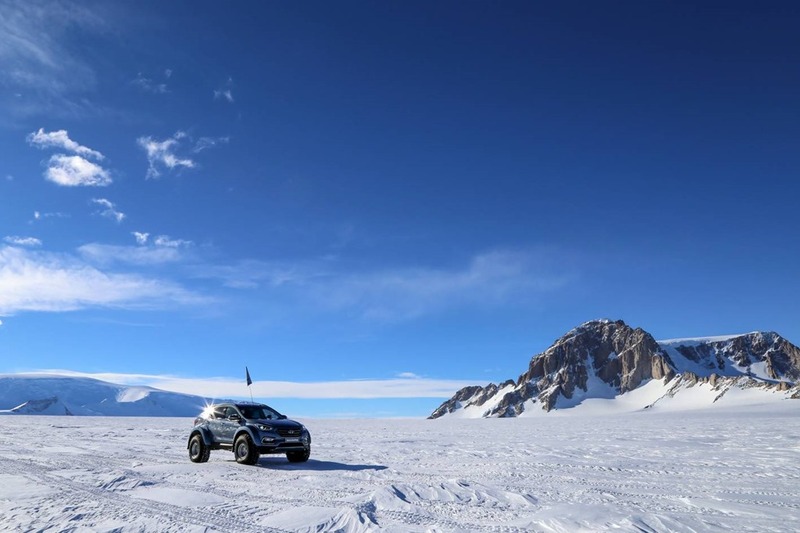 To fit the tyres, the car’s body had to be raised with new sub-frames and suspension and gears were fitted inside the wheel hubs to cope with the different forces and the need to turn more slowly to run at the same speed.